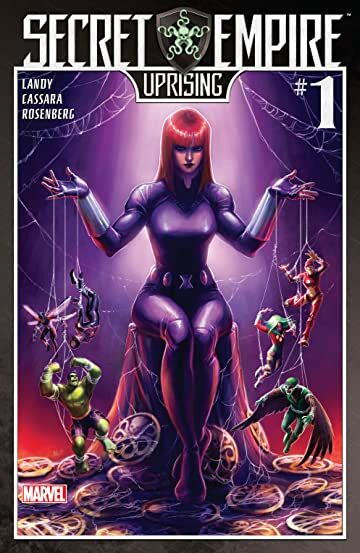 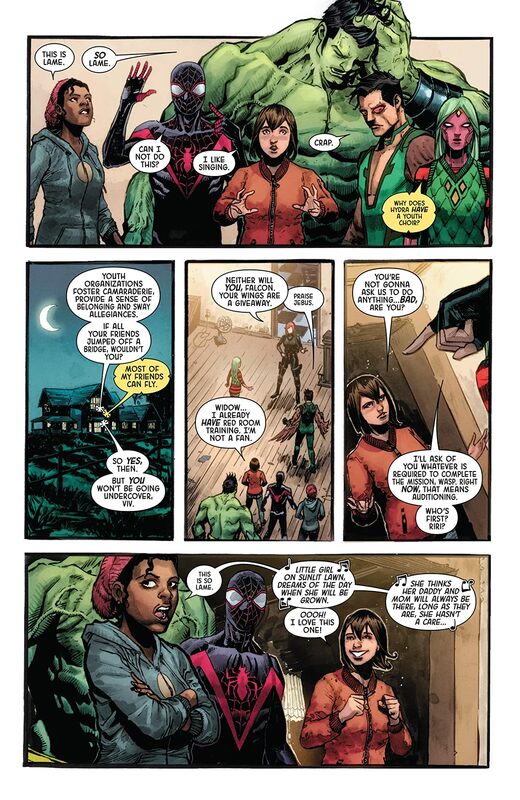 Hydra has made their move and Black Widow enlists the younger heroes of the Marvel Universe – Miles Morales, a.k.a. 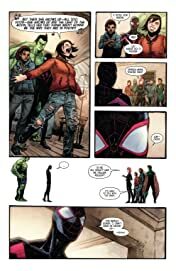 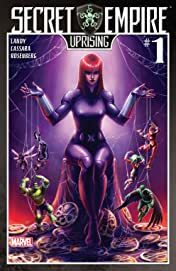 Spider-Man, Ironheart, Wasp, Amadeus Cho, Falcon, and more, for a dark-ops mission no one – not even the heroes themselves –are prepared for. 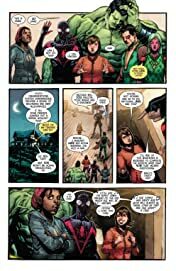 Can Black Widow forge these champions into a new elite strike force against Hydra's forces? 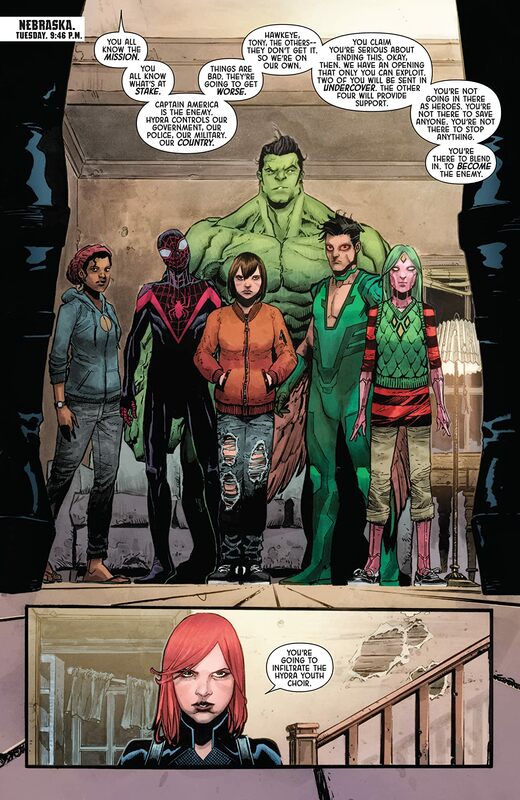 Or will her time run out and send the younger heroes into the fight unprepared for what's to come?